(Newser) – Guess who else is raking in the dough as Sarah Palin noisily returns to the national stage: her detractors. After months of trailing Republicans in fundraising, Dems raised $11.5 million in October, a record for a non-presidential year, the Washington Post reports, compared to $8.7 million for the GOP. Republicans still lead in the yearly totals—$69.2 million to $66.3 million—but Dems are planning to milk the Going Rogue book tour for more. 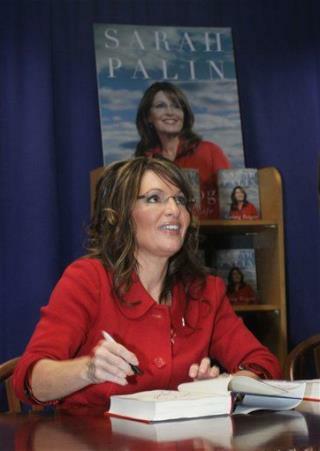 Yesterday they sent out an email appeal to counter the Palin influence on health care reform. I wouldn't read her book if it was lying on my coffee table. I have heard all the lies I want to hear out her of lying mouth. She is pathetic, and anyone that can--not see through her is also pathetic. I hope she does run in 2012, then it will be the biggest landslide we have ever had. Carol, your wit is witless.